DesignPhiladelphia is excited to announce the second edition of Best in Design, a design challenge that asks regional designers and design companies to submit innovative, high-quality products or design solutions that make life better. We are looking to support designers and companies that are ready to grow and promote products that reflect the business’s scalability. The Best in Design challenge is looking to propel Philadelphia’s best design businesses/designers forward by providing robust local and international exposure. Finalists will showcase work at DesignPhiladelphia 2019. The winning design solution will be awarded with a cash prize of $5,000. All finalists will be covered in a design publication and gain exposure to a loyal audience of design enthusiasts and aficionados. 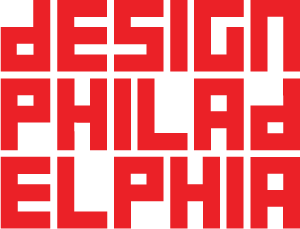 Finalists will be required to exhibit their selected design during DesignPhiladelphia at our Cherry Street Pier hub and are responsible for the production of their own display. $1,000 stipend to attend another design festival and exhibit your work (we have partnerships with most design festivals across the country and internationally. We will work with the winner(s) to select the best fit and negotiate exhibition of their work at another festival. Ready to tell us why your product is the Best in Design? Complete the entry form.